The theme of this collection is the excellence of the Story, especially the kind of story dear to Lewis-fantasy and science fiction, which he fostered in an age dominated by realistic fiction. 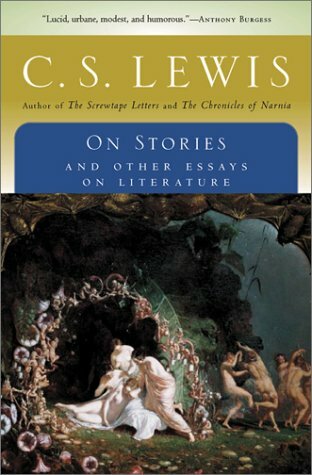 On Stories is a companion volume to Lewis’s collected shorter fiction, The Dark Tower and Other Stories. Edited and with a Preface by Walter Hooper. Lewis considered himself an atheist, he soon became fascinated with religion. He is probably best known for his books for young adults, such as his Chronicles of Narnia series. This fantasy series, as well as such works as The Screwtape Letters (a collection of letters written by the devil), is typical of the author's interest in mixing religion and mythology, evident in both his fictional works and nonfiction articles. Lewis served with the Somerset Light Infantry in World War I; for nearly 30 years he served as Fellow and tutor of Magdalen College at Oxford University. Later, he became Professor of Medieval and Renaissance English at Cambridge University. C.S. Lewis married late in life, in 1957, and his wife, writer Joy Davidman, died of cancer in 1960. He remained at Cambridge until his death on November 22, 1963.